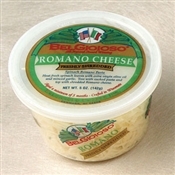 BelGioioso Romano is a hard, sharp cheese perfect for grating on pasta, soups and salads. 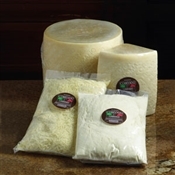 Aged a minimum of 5 months, this hard grating cheese, made from part skim milk, possesses a strong, sharp flavor that makes it one of the most popular Italian cheeses. 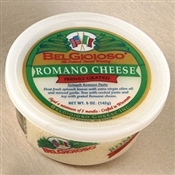 Grate it on pasta, soups or salads to add full Italian flavor to any of your Italian dishes.